A judge has found probable cause to charge Cleveland Police Officer Timothy Loehmann in the death of 12-year-old Tamir Rice, CNN reports. According to the report, after reviewing the facts of the November shooting that has spurred nationwide debate, Municipal Court Judge Ronald Adrine said that he thinks prosecutors should move forward with the charges against the officers involved. Adrine found probable cause for charges including murder, involuntary manslaughter, reckless homicide, negligent homicide and dereliction of duty in the case of Loehmann, who was responsible for shooting the boy and ultimately killing him. For Loehmann's partner, Frank Garmback, who was driving the car that pulled up scant inches away from the boy seconds before the fatal shooting, Adrine found probable cause for the charges of negligent homicide and dereliction of duty. This does not mean, however, that prosecutors have to abide by the judge's ruling, and his findings do not represent an indictment. "This case, as with all other fatal use of deadly force cases involving law-enforcement officers, will go to the grand jury. That has been the policy of this office since I was elected," Cuyahoga County Prosecutor Timothy McGinty said in a statement, according to CNN. "Ultimately, the grand jury decides whether police officers are charged or not charged." "At the end of the day, the case remains where it should be—under the review of the prosecutor, based on the investigation done by the independent sheriff's department," Loehmann's attorney Henry Hilow said. However, Benjamin Crump, an attorney for the Rice family, says that the ruling makes him "optimistic." "The judge … sent such a powerful message to the DA that even a court official is recommending that there is probable cause to arrest these officers for some crime," Crump said. "It certainly makes me optimistic. 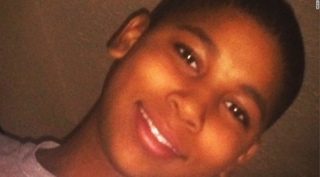 I, like Tamir Rice's family, feel that we got one step closer to justice today."